Support Your Home with Efficient Plumbing | Reliance Plumbing Sewer & Drainage, Inc.
Let’s face it, old and outdated plumbing appliances that require a lot of hot water will cost more and have to work harder, ultimately costing you. But low-flow appliances reduce your water usage and by default, help you save. Perhaps the most important low flow installation in recent years has been the low flow toilet. A low flow toilet uses about 1.7 gallons of water per flush while a standard model uses 7! Since a toilet, on average, gets flushed about 6 times a day, over a year you could use 15,000 gallons of water, costing you way more than you should have to spend on your water bills. And the low flow toilet is just the beginning. There are plenty of other low flow fixtures that will benefit your water usage and your wallet, including your bathroom and kitchen sink faucets, your shower heads, and more. Having leaks repaired. A leaky faucet could waste gallons of water throughout the year and add up on your water bill as well. Conserving hot water. Did you know that for every 10 degrees that you lower the water temperature on your tank hot water heater, you could save between 3-5% in energy costs? Ensure that your water heater is properly maintained and insulated as well, to mitigate heat and energy loss. Keeping track of your water bills. Knowing how much you spend each month helps you notice any unusual spikes in your water bill, which can be indicative of a leak or some other plumbing issue. 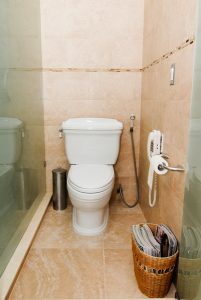 Contacting our pros for routine plumbing maintenance. Our licensed and experienced plumbers will fully inspect your entire plumbing system for leaks and any other apparent problems in order to take care of any needed repairs. Ultimately, the best way to save money on your plumbing and get the best performance from it is to take care of it properly. When you work with our team, you can rest assured that your plumbing will be very well cared for! For expert plumbing service, installations, or maintenance contact Reliance Plumbing Sewer & Drainage, Inc. Our knowledgeable plumbers serve the North Shore and Northwest Chicago suburbs. Rely on Reliance.